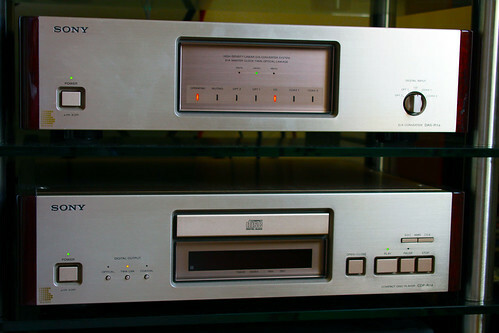 The second R1 unit to be launched, the DAS-R1 d/a converter was magnificently designed and luxurious in every way : Sony put all its know how about surface, color, finish, and feel to make one of the best D/A unit ever, one of the most beautiful, too, and probably the better remembered as well. Introduced when CD was only four years old the CDP-R1 and DAS-R1 immediately became real bestsellers. This was the reference combo in Japan for many years and Sony sold many of them : not only because of said looks and feel of use but because of the sound of the R1 combo. 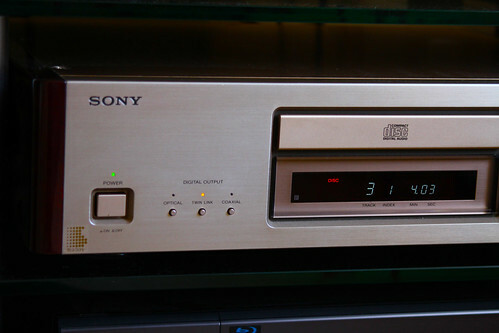 Sony, as it had decided for many of its 1984-1986 top CD players, didn't go for its own CX chips but for two of Philips' own 16-bit chips : TDA-1541 S1 ! Here implemented as lavishly as can be, sound-wise, in all fairness, the DAS-R1 still sounds unbelievably wide, deep, smooth, lush, sweet, dynamic and inviting, whatever the source it is hooked to. 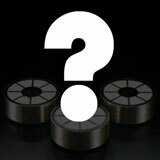 And the Twin Link system does give even more of the above qualities, even if limited to be used with the CDP-R1. A well-known bestseller, the later CDP-X777ES, which is eight time PULSE-loaded with 45-bit circuitry and also built unbelievably well, is really put in its place when compared to the DAS-R1 : it becomes a mere integrated CD player with a lot remaining to be improved ! 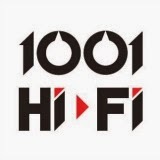 The same happens to the DTC-2000ES : on its own an excellent d/a unit (but mostly a magnificent a/d converter), when hooked to the DAS-R1, it gains even more of... everything ! As said by many, the old Philips TDA series really had and still have "something" more which the increasingly complex digital circuits of the 1990s didn't have. Music-wise, only SACD makes a point here. Digital inputs rely either on two 75 Ohm coaxial or the intelligent (but proprietary) Twin Link connection which carries signal and servo/synchro signals separately and in a bi-directional way. Professional background oblige, Sony was among the first (if not the first) to go that route - many others followed soon afterward. Outputs are only single-ended RCAs : Sony didn't implement balanced XLRs until the 1988 CDP-X7ESD. The production run was set at about 1500 combos (CDP + DAS), of which at least 100 were 100V / USA models and 250 were 220V / EU models. Updated in 1989 as DAS-R1a with a complete change of d/a technology (Sony PULSE) and a slightly altered design (less well balanced) ; the DAS-R1a didn't sell nearly as well as the original DAS-R1. 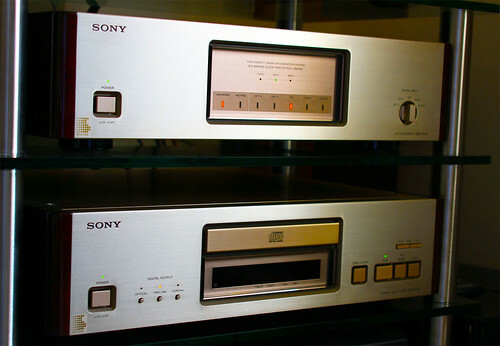 As all of Sony's top components since 1965 and the first ES series, the Sony name isn't printed but engraved in the 7mm extruded aluminium front plates.